Your ties are the only physical connection between your car and the road. Your tires can’t just be great quality, because that’s only one factor. They also need proper maintenance and installation. Tire pressure dissipates over time and can lead to uneven tread wear, not only shortening your tires lifespan, it can cause dangerous traction issues, especially in extreme weather conditions. In addition to this, improper installation of your tires can lead to unbalanced wheel rotation and instability while driving. Get your tires serviced right the first time at Kendall Volkswagen of Anchorage. Our expert technicians will install your tires, perform a maintenance check, and help you choose the right winter, all-weather, or summer tires for your vehicle. We also have many tire related services such as wheel alignments, tire & wheel balancing, and tire pressure checks. Contact us today to schedule an appointment for a new set of tires, or a tire service at Kendall Volkswagen of Anchorage. If you live in an area where the winter temperature averages below 45 degrees, like the Anchorage, AK area, then you’re going to need winter tires on your car, SUV, AWD, etc. 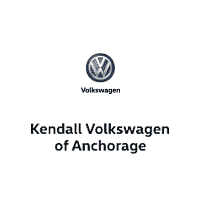 This is one of the most common questions we are asked at Kendall Volkswagen of Anchorage come the winter season. Having four winter tires on the road is not just recommended, it’s necessary. In RWD and FWD vehicles, drivers think that the two drive wheels are the only important factors when changing to winter tires and the other two tires are just along for the ride. This mindset is outdated and no longer relevant because the design and composition of modern winter tires have changed ever so greatly. Today’s winter tires are made of different composites and designs that increase winter weather traction by 25 to 50 percent more than older tires. The Rubber used on modern winter tires also helps adapt your driving experience towards dry and wet road conditions.